Union Stars (186/9) are back on the top of the table after they were too strong for Ramblers (52 all out) and recorded a 132 runs bonus point victory at the Bridgton Sports Ground the past weekend. Leroi Bredenkamp (65) with the bat and Ayabonga Ngondo (4/5) with the ball excelled for the home team. Mossel Bay (125 all out) defeated Western Hope 115 (all out) by 11 runs in a close contest at the Van Riebeeck Stadium and keep their hopes for a place in the top three alive. 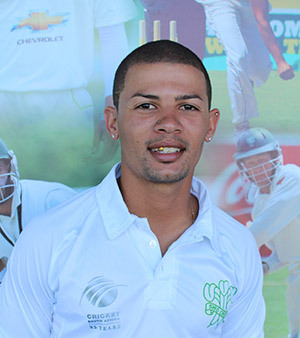 Jaco Fourie (5/24) produced a match winning bowling performance for George (100/8) who had to work very hard against a gusty Pirates United Pioneers (99 all out) as they were victorious by 2 wickets. Knysna Cavaliers who posted 211/5 at Loerie Park thanks to an unbeaten century by AB van der Walt (103*) produced an impressive 139 runs victory against Pacaltdorp United who only managed to respond with 72 (all out).